Politicians and poor people believe credit is the equivalent of cash. With the government borrowing record at record highs, consumers, especially low-class people, are using credit cards more than ever, one must question when will both debtors—the U.S. government and individual debtors—will pay this money back. There seems to be a sentiment that credit is the same as cash when, in reality, it is far from it. Credit operates on the idea that someone or something loans money out with the expectation that it, plus interest, will be paid back (for the risk assumed by the creditor). 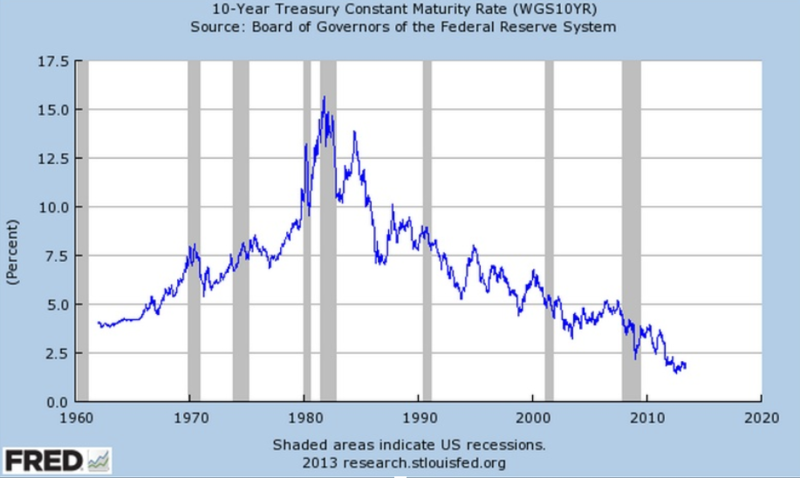 For the past 8 years, it has been very easy to borrow money as interest rates have stayed relatively close to zero. However, in the past year, the Federal Reserve has been hiking interest rates on government bonds, making borrowing more expensive and the bonds themselves more attractive for speculators and investors. There is another entity that is affected by rising interest rates: leveraged companies. As debt has become more expensive, it has caused many companies who excessively leveraged themselves in the grace period from 2009-2017 to see the consequences. The grace period allowed companies like Tesla to borrow a great deal of cash to keep the company afloat and fund shady acquisitions like the acquisition of SolarCity. However, with interest rates returning to neutral, the company will face greater challenges to borrowing money. As of March 2018, Moody’s downgraded Tesla to B3, the lowest degree in the B category. Another company’s whose excessive borrowing has come back to haunt them is General Electric. General Electric’s debt was downgraded by Standard & Poor’s from AAA to BBB+. This is a heavy hit to GE’s credit as the company has always been seen as one of the iconic American stocks—and one where many retirees park their money. It must be noted that the current interest rates are still below the neutral rate and that the Federal Reserve remains committed to raising rates in December and throughout 2019. Many companies, people, and the government have enjoyed very low-interest rates for the past 8 years. However, as rates increase, borrowing will become much harder, and companies and people who relied on credit to survive will soon find themselves in a bind as the Federal Reserve moves to unwind its balance sheet and raise interest rates. Many people believe that the Federal Reserve sometimes acts too irrationally and increases interest rates too far, causing the economy to go into a recession. In reality, the Federal Reserve raises interest rates in order to protect the economy from inflation, which is a much deadlier force than a recession (see Venezuela). The Federal Reserve’s inflation target is ~2%. The current inflation rate is 1.9%, just shy of 2%, but with consumers spending more, the unemployment rate is at a multi-year low of 3.7%, there is concern that the inflation rate will climb. This article has made debt a villain. However, debt can be good in small quantities. Taking on student loans to pursue a career with high earning potential is a good decision because there is a high possibility to pay it back. In a sense, you are taking on debt to make an investment in yourself. Investing in yourself can also be seen in investing in appreciating assets such as certain real-estate ventures, stocks, and bonds. Debt that is used to buy assets that are depreciating in value, such as cars or high service payment debt, does not provide any return on the payment. These investments are not good decisions because they can dig debtors into deep holes. Companies have learned the difference between bad and good debt but continue to borrow against their own self interests. When a company borrows money to acquire a profitable competitor to increase its own profits, that would be considered a good use of debt. But if it were to acquire a company that did not have much in align with its own business model nor was very profitable (SolarCity), it would be a poor use of debt. Another example of a poor use of debt would be stock buybacks and increasing the dividends. These actions are very short term based and, in many cases, are actually more harmful to the company.